Always have water handy (even if it’s just a bucket). Only use fireworks as intended. Never try to alter or combine them. Never relight a “dud” firework. Instead, soak it in a bucket of water for at least 20 minutes. Only people over the age of 12 should be allowed to handle sparklers. Never use homemade fireworks of any kind. Fireworks and alcohol don’t mix. Establish a “designated shooter”. Obey local laws. If fireworks are illegal where you live, please don’t use them. In the state of North Carolina, there are rules and regulations when it comes to handling fireworks. While sparklers and similar fireworks are legal to sale and possess, other fireworks, such as firecrackers, ground spinners, bottle rockets and roman candles are not. Droughts and other water conditions can also determine whether or not fireworks are allowed to be set off. Violators can face misdemeanor charges and up to a $500 fine. No matter how safe you are, injuries can happen. The most common fireworks-related injuries are first and second degree burns of various parts of the body. A handheld sparkler can burn at a temperature of 1200 degrees Fahrenheit! Bruising and mild to moderate cuts are also common. More serious injuries include third degree burns, blindness and permanent scarring. FastMed encourages everyone to follow these tips and be safe this July 4th. FastMed Urgent Care is open 365 days a year, and is able to provide non-life threatening, acute ambulatory treatment at any of our clinics. 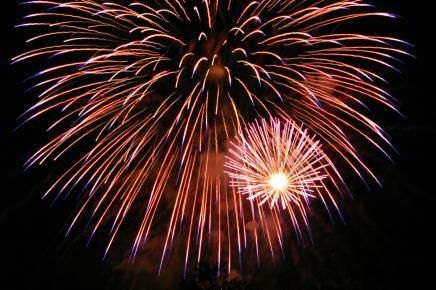 Our staff is able to treat most injuries that you may get from handling fireworks. If you or someone you know sustain an injury, please go to your nearest FastMed Urgent Care, which can be found by visiting fastmed.com.